Waterhouse Insurance Tallahassee offers excellent low cost Insurance for all types of outdoor vehicles whether an RV, or a new or used boat. If you need insurance we have you covered! 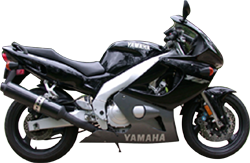 We also offer motorcycle insurance and other types of vehicle insurance for Tallahassee and surrounding communities. 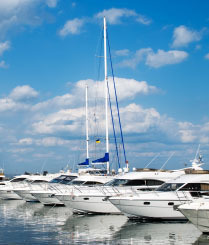 Our recreational insurance carriers offer protection at a great price for ALL of your boats, RVs, motorcycles, jet skis and other recreational vehicles and toys! Let us cover your fun and give you great discount rates for recreational insurance in Tallahassee. Contact Us now at (850) 412-1099 to speak with a Professional Insurance associate that will help you find the right insurance for your vehicle no matter what it is. A Few Reasons to Choose Waterhouse Insurance for Your Auto, Car, Truck, Boat or Motorcycle Insurance! Low Cost! The ability to quote and write for multiple Companies gives us the competitive edge! Cheap Car Insurance Rates for ALL! As authorized producers of multiple Car Insurance Companies, we can find anyone low rates! We also have low rates for young drivers, drivers with dui's, SR22, FR44 and non-owner's Insurance. Licensed Agents Our entire staff is licensed by the Florida Department of Insurance and we specialize in tailoring our services to your needs!